Well the holidays has hit our home in that we have all been kinda sicky! Congested and feeling kinda blah but that means extra snuggles, cuddles, and Christmas movies right?! Today’s post I wanted to share with you all some of my quick hair tricks. This post is in collaboration with HerStyler. 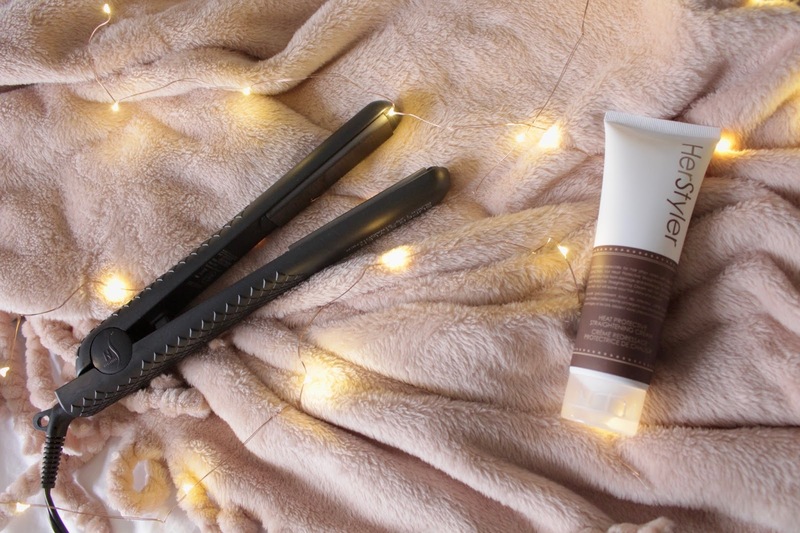 I have been LOVING the HerStyler Super Styler Straightener lately! Its so perfect to run through my hair and go in the mornings! The best part is my straight hair can last for days. Honestly having a newborn and a toddler I don’t have much time for washing my hair and styling it. I love that my hair can last and sometimes I spritz a little texturizing spray (This ONE is my favorite) and off I go for the day!! The HerStyler Heat Protectant is a must as well for me as well! Its lightweight and doesn’t make my hair feel heavy or greasy! Hope you guys have a great day!!! Next Post Current Beauty Favorites + $1000 Nordstrom Giveaway!